Fashion guru Tim Gunn gives tips from his new book "Tim Gunn's Fashion Bible" for revamping your wardrobe for Fall as part of the new "TALK Takeaway" segment on THE TALK, Thursday, September 13, 2012 on the CBS Television Network. 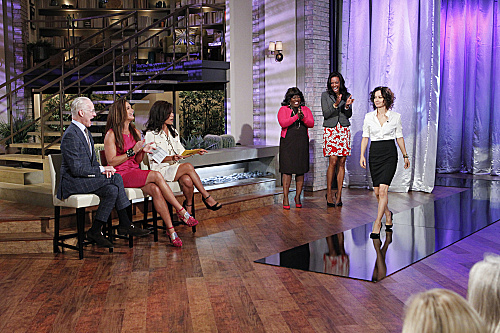 Tim Gunn, from left, Brooke Shields, Julie Chen, Sheryl Underwood, Aisha Tyler, and Sara Gilbert, shown. Photo: Sonja Flemming/CBS ©2012 CBS Broadcasting, Inc. All Rights Reserved.